This is the printed version. 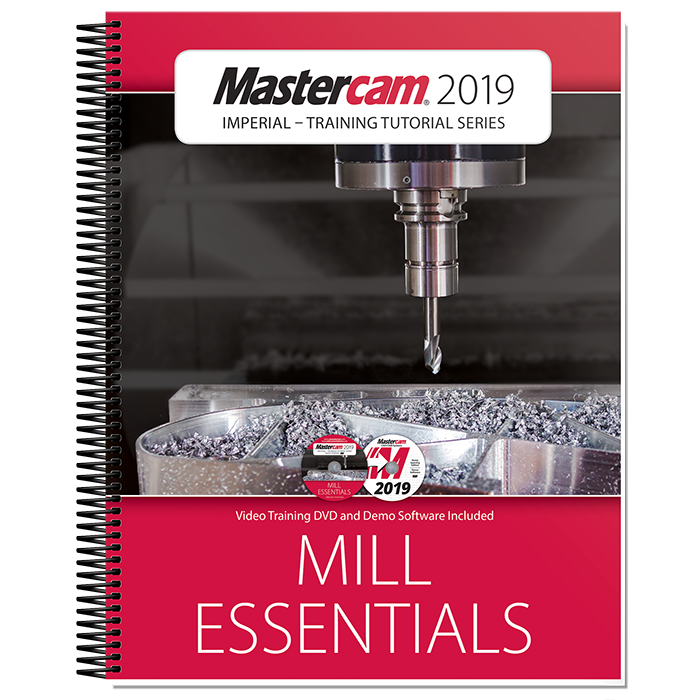 The Mastercam 2019 Mill Essentials Training Tutorial features concept-filled tutorials, challenging practice exercises and short quizzes following every tutorial providing a comprehensive look at geometry creation and 2D toolpathing for Mastercam Mill. This book begins with the absolute basics by introducing the Mastercam user interface and it will have you creating geometry, drilling and creating contour toolpaths before you know it. Its gradual progression lends way to more advanced concepts such as multiple setup scenarios and 2D High Speed Toolpaths. All of the parts within the book are designed with machinability in mind. A multitude of topics are covered including 2D geometry, solid geometry, tool settings, stock setup, drilling, tapping, contouring, pocketing, circle milling and slot milling. You will learn the 2D High Speed Toolpaths such as Dynamic Mill, Area Mill, Dynamic Contour, Peel Mill & Blend Mill, how to import a solid and machine it and using the WCS in multiple fixture applications.